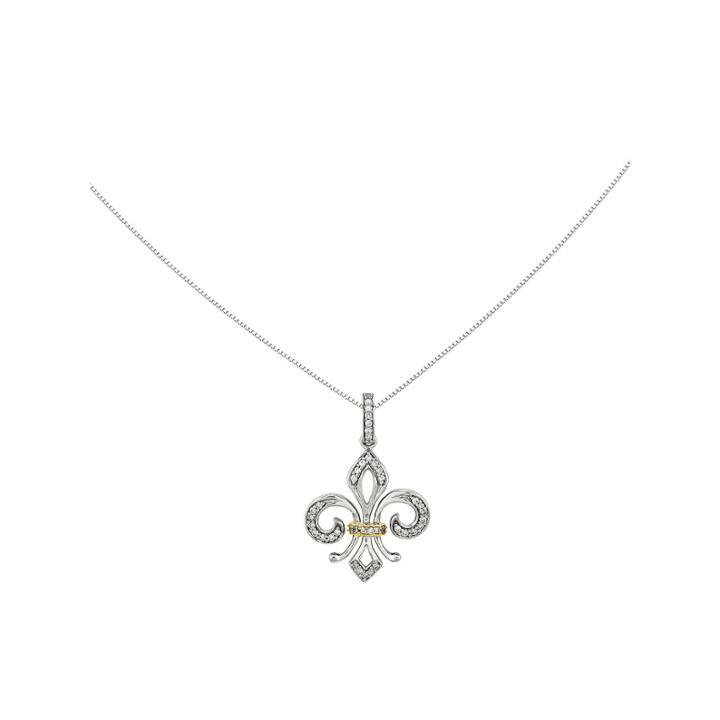 Metal: 14K white gold with yellow gold accents Stones: 1/5 ct. t.w. round diamonds Color: G-I Clarity: I2 Closure: Spring-ring Dimensions: 18 box chain Pendant Size: 17x29mm Diamond total weights may vary between .01 and .08 carat. Jewelry photos are enlarged to show detail. Diamond Baguette And Round Cross Pendant Necklace In 14k White Gold, .15 Ct. T.w.